Saulo Ribeiro—six-time Brazilian Jiu-Jitsu World Champion—is world-renowned for his functional jiu-jitsu knowledge and flawless technique. In Jiu-Jitsu University, Ribeiro shares with the public for the first time his revolutionary system of grappling, mapping out more than 200 techniques that carry you from white to black belt. Illuminating common jiu-jitsu errors and then illustrating practical remedies, this book is a must for all who train in jiu-jitsu. 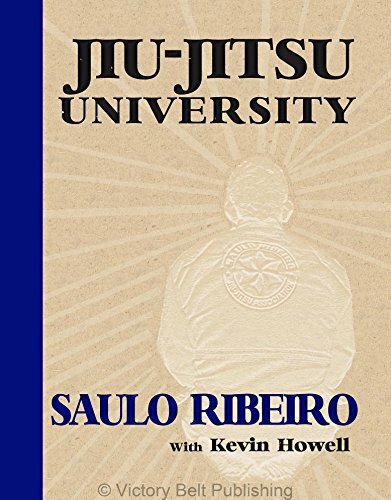 Not your run-of-the-mill technique book, Jiu-Jitsu University is a detailed training manual that will ultimately change the way jiu-jitsu is taught around the globe.